Every year about this time (January through the spring), in each law school admissions office a Wait List is created. Students who aren’t accepted but also not rejected are put on the Wait List (WL), and told there’s a chance they might get in at some point. In other words, they get sent to law school admissions purgatory. And it’s not just one or two students: Mike Spivey over at law school admissions firm Spivey Consulting Group notes that, “many schools will WL as much as 40-50% of their applicant pool, and at times up to half of the entering class will be comprised of those admitted off of the WL.” That’s a lot of people, and if you find yourself on this list, the waiting can be an agonizing process. Equally challenging is knowing the proper steps to take to get yourself off the Waiting List and into the Accepted pool. 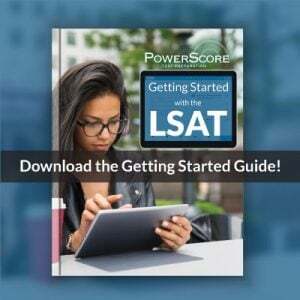 While Mike talked about those steps in the free PowerScore Law School Admissions Guide, what I want to address here is a little-known trick that can help you get off the WL: using the June LSAT to raise your score and get in to law school. Students placed on the Wait List can often point to one of two culprits: LSAT or GPA. Other factors come into play—such as a subpar personal statement, less-than-stellar letters of recommendation, or a weak resume—but those can be difficult to quantify whereas a school’s 25%/75% LSAT and GPA numbers are public knowledge. If your GPA is low for a school, there is little you can do to change your GPA in the short-term. However, if your LSAT is low, and you find yourself on the Wait List, you can use the June LSAT to make a run at improving your situation. Let’s look at how it works. If your LSAT score is below the school’s median, taking the test again and scoring higher takes away a reason for not admitting you, and makes you more attractive when they move to accept students off the Wait List (and every school uses their Wait List). If your GPA is lower than their median, your LSAT score can offset the problem. If you have been Wait Listed, adding a few points to an already strong LSAT score makes you even more attractive (it becomes less of a tradeoff for them—if you have a somewhat low GPA but a really strong LSAT, they can justify that trade). An increased LSAT score can lead to scholarship offers for applicants admitted off the Wait List. Spivey says, “This is one of those happy scenarios where I have seen hard work and persistence at the LSAT not only get applicants into their dream school, but even generate significant scholarship awards for being admitted off of the waitlist.” So, not only can you get accepted, but it can improve your financial package as well. Some students are concerned that the June LSAT is too late to help them with the Wait List. Law school classes typically start in August and sometimes September, meaning that the Wait List is used up until then. Since every advantage helps (even a small one like 2 extra points on the LSAT), the results from the June test can be decisive. 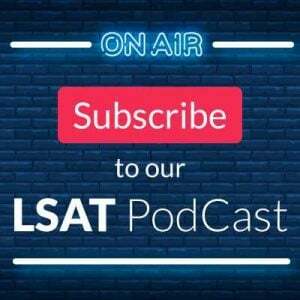 While the optimal strategy is to go out and nail the LSAT the first time and then never take it again, for Wait List students the June LSAT can be a silver bullet of sorts, held in reserve to use when you need to slay the law school admissions monster. Questions or comments? Please post them below. Thanks! Image: “Wait Here Sign” courtesy of Ken Teegardin. Thanks for the article Dave. What are your thoughts on taking the LSAT in June for the third time? I’m afraid the third time seems a bit much, even if I do increase my score. I am waitlisted to Notre Dame and UCI, both of which I’d really love to go to. My first LSAT score was 156, and my second and last score was a 159. What do you think? Thanks again. Thanks for the question! In the old days, the advice would have been to not take it again. But, as my conversation with Mike Spivey showed, and as a law school Dean of a top 25 school recently told me, the new mindset is focused on the high score, and taking it three times is less of a concern. The comment from the Dean to me was basically: “The only score I care about is the high score.” If your applications is good enough that you made the waitlist with a 159, you’d probably increase your chances solidly if you broke 160. So, my recommendation would be to give it a shot. Not much to lose, I think. I took my first LSAT in October, and i did not do so well. I am currently starting applications right now, and planning to retake the LSAT in June. The schools i am applying to, accept the June lsat. I just wanted to know how i would let the know that I’m retaking the June in order to take that into consideration. No problem–just send them a short note indicating that you are taking June, and that you hope to improve your score. That will make sure they have that info and are aware of it. Good luck! I plan to take the June LSAT for waitlist purposes. Should I notify schools that give a second decision like NW before they render that decision at the end of the cycle? I don’t know if my chances would be better in June with a higher LSAT or with the LSAT score they have now when they evaluate at the beginning of May. I assume if I notify them, they’re more likely to summer waitlist me but would they by chance do so instead of just accepting me with the current score? Thanks for the question! You mean schools that have ED and RD? I think so, and in that case they will render a decision prior to June. At that point, if you hear from a school that you’ve been waitlisted, let them know that you are still interested and that you are taking the June LSAT in order to make yourself more attractive. That way it looks like you are attempting to make yourself especially attractive *just* for them. Yes all makes sense but not exactly what I was asking. I’m saying many schools take people off of their waitlist before the June LSAT. Would informing them you’re taking the June LSAT potentially cause you to miss out on offers because they will be waiting for the results? Thanks for the clarification. If you are going to get accepted based on current scores, they’ll accept you even though June is scheduled. However, you are talking about a very small percentage of people, and remember, LSAC records will show that you have June scheduled. So, they’ll learn about it sooner or later. I’ve always thought it’s better for you to control that message since it can be sent along with a note that the school is still your top choice. Thanks! Thank you so much for the help! When should I tell them? Whenever I am sure I will take i assume. Thanks so much for the information! I’m not looking to apply quite yet (I’m looking to gain admission in fall 2017) but I thought you may be able to shed some light on my situation. After taking the LSAT for the first time in February, I got a 169. My GPA is 3.85 and I’m trying to be a competitive candidate at Columbia and NYU. I’m currently in Brazil on a Fulbright though, so I wouldn’t be able to take the LSAT again until December. Do you think it would be worth taking the exam again to see if I can push past the 170 mark? My average practice test score up until February was between 171 and 175. Thanks for the message! 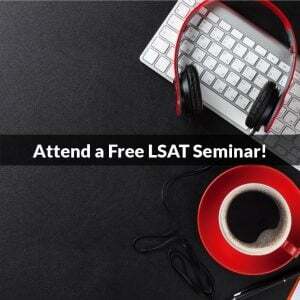 I don’t think there’s any doubt it would be worth your while to retake the LSAT. Every point counts at that level, and just reaching 170 would be a bonus–especially psychologically. It sounds like your soft factors are extremely strong, so the higher you push your LSAT, the better it will be for you. And, since law schools only care about your high score, there’s no risk for you in retaking. I’d strongly recommend it, and would be happy to give you study advice if and when you pick it back up. Thanks for the questions! As for bettering your chances, it appears to me you’ve done everything you can–you’ve shown continuing interest in the school and sent over more LORs. At a certain point, there’s not much more you can do, otherwise it starts to be intrusive and possibly off-putting. The other part is that it is an interview, so you need to be prepared for their questions. How you perform there will have a greater impact than the questions you ask them. I went into the LSAT the first time in December without really studying and scored a 150. I am planning on retaking it in June and was wandering if taking it in June makes it less likely that I will be accepted into a law school. Thanks for the question! June by itself doesn’t make it less likely, but if you are taking June with the intent of starting law school just a few months later in the fall of 2017, then yes, that won’t be good. In that case, you should focus on the February 2017 LSAT–a good number of schools still accept that score for a Fall 2017 start, whereas very few accept June. Please let me know if that helps. Thanks! I have already applied with my Dec LSAT and got a few admissions lately. However, I am not happy with the scholarship offerings. If I retake June LSAT, can I use a higher LSAT to negotiate a better scholarships? Technically speaking, do I put seat deposits for all potential schools that I want to go and then take the June LSAT? Will schools care about my improved score even if I already paid the deposit? Thanks for the questions! Yes, that is exactly how it works. This is the current environment and financial reality of law school admissions: it’s now expected that students will fight for better packages, and do whatever they can to improve their position. So, if you take the June LSAT and do better, you can indeed then use that as leverage for a better package. And you can be direct about it: “I have a seat deposit at two schools, but I’d strongly prefer to attend your school but the financials are a concern. I’ve retaken the LSAT and increased my score by etc etc.” That’s not the exact message I’d send, but that’s the intent behind it. Why does that work? Because getting a seat deposit isn’t their goal; having an enrolled student for three years is the goal. If they know you are close to deciding and have a major asset like an increased LSAT score, then a school can justifiably offer you a better aid package. Better numbers command more money, and this is a fact of admissions these days (always has been actually, it’s just even more acute now). I’ve been placed on the waitlist for a school that indicated on their admissions page, that and June LSAT would not be considered because the scores would be back to close to the fall start date. I’m sure a higher LSAT will get me off the list. Should I take be June test anyway? Or maybe speak with admissions and let them know of my intention to retake the test? Second, you definitely should call them and talk to them about how they’d treat a June LSAT result. Many schools have actual policies that differ form their stated policy, so checking with them can be very helpful. If you can write back I can try to help out some more, and if you call them, please let me know what they say. Thanks! I have just taken the February LSAT and I have a gut feeling I didn’t do as well as I had hoped (stating from the trend of my PTs). I already paid and registered for the June LSAT. My question is should I still try to apply to schools and hope that when June rolls around that my LSAT will be better? I’m afraid that my application would already be rejected before I even get the chance to retake it. It’s going to depend on the school. Some schools will have closed admissions by then and will not review the June LSAT, but many others will, especially if you tell them now you are taking June. So, it’s really school dependent, and thus you should check with the schools you are looking at. Thanks, and please let me know if that helps!